The third installment of Trollhunters hit Netflix on Friday. The internet imploded, the world's youth forsook their sanity, and all good things came to an end. Really. Just ask the gruffam. I don't check my personal email often, mind, and I seriously regret checking it today. "Gruff! Gruff have you seen it? Gruff, any new words? NEW WORDS?! GEOLOGY!!" 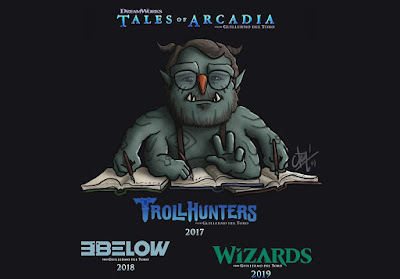 Never heard of Trollhunters? There are many sites dedicate to explaining it and all its nuances. Here. We're here today because people asked for the words and identification. Trollhunters' creator, Guillermo del Toro, is known for fancifully dicking around with reality. Most wouldn't connect the weird names and words to anything within the real world. In fact, it is in his references that del Toro shows not only his wit, but also his knowledge of obscure things to draw inspiration from. We see this on a grand scale in his animated Netflix series. 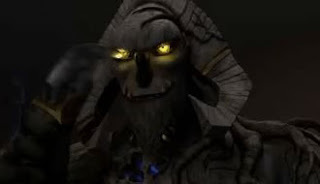 Let's start with the most obvious, and one I've pointed out before: Angor Rot. It's nothing but a wordplay on Angkor Wat. The latter is a temple complex in Cambodia. 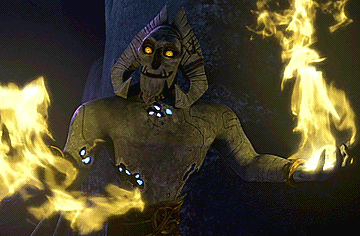 Given the location Angor Rot was found in (season 1), it's a fairly close tie-in. The historical Khmer jungle temples of Angkor Wat have long drawn the imagination. However, the area around Angkor Wat is not as "jungled" as it once was. 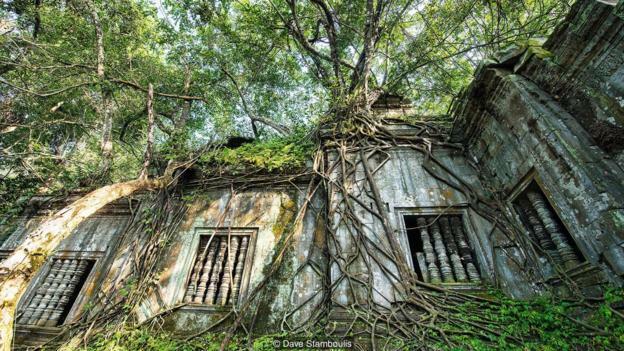 To see a more-pristine setting, look to Beng Mealea. Greenery still surrounds this hidden temple, and it is covered in the thick roots so reminiscent of Angor Rot's form. This is a far cry from the Amazon, or Bulgaria, as some initially thought Angor Rot originated. I find del Torro's attention to detail remarkable. We see this particular character in a flashback. He was not covered in roots and ratty material in his prime. Rather, he was as smooth as freshly carved grey laterite. It is only later, once awakened from his slumber, that we see the decay caused by time. 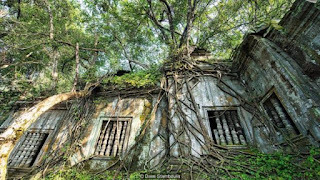 Much like Angkor Rot and Meng Mealea, his surface seems to have been claimed by "roots". Let's move on to other baddies since we're mucking about this part of the world. "Gumm-Gumm" is translated at "bringer of horrible, slow, painful and thoroughly-calculated death" in the Trollhunters series. However, it may be a nod to Gum-Gum, a township of Sandakan, Sabah, Malaysia. You'll find limestone outcrops in many localities in Malaysia range which are Ordovician to Triassic in origin. The limestone is generally white, pale grey, or slightly yellowish recrystallized rock. 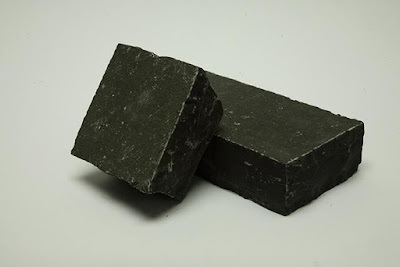 However, in some places, it is dark grey to almost black due to carbonaceous or argillaceous impurity. Is it possible that the series' Gumm-Gumms originate from these cave systems and are thus made of limestone from the Malaysian range? Probably not. However, it's entirely possible we're looking at the right region of the world if we consider other clues dropped by del Toro. Specifically, Bular's name. "Bular" is a Malay word. It is comprised of Bu ("rice") and lar ("dry). Translated, it means "famine". It seems a fitting word for such a horrible pest. "Gunmar" is less easy to translate. It doesn't have any root in Malay, to the best of my knowledge. I doubt del Torro ripped the word from the Dawnguard blacksmith by the same name (Skyrim). Similarly, we don't see a Malay hat-tip in "Orlagk", the former lord of the Gumm-Gumms killed by Gunmar. Might as well touch on the Krubera while we're at it: a race of trolls living the deepest caverns. Another fairly straightforward clue here. 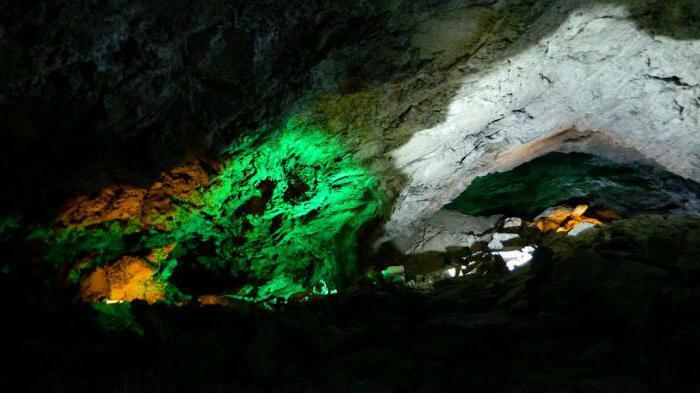 Krubera (Voronya) Cave is the deepest-known cave on Earth. It's located in the Arabika Massif of the Gagra Range of the Western Caucasus. 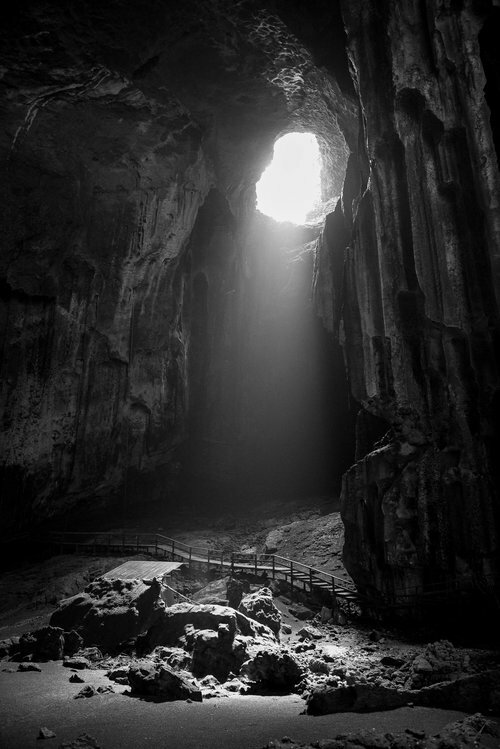 In the Trollhunter series, Blinkous Galadrigal pointed out, "Only the Krubera can thrive in the Deep Caves". He's spot on. Explorers have likened the descent into Krubera as "climbing an inverted Mount Everest". Cutting a jagged path through the limestone of the Arabika massif on the edge of the Black Sea, the “trail” to Krubera Cave drops down a chain of pitches, cascades, and pits—some more than 100 meters (328 feet) deep—connected by narrow rift passages called meanders. Whatever the case may be, Aaarrrgghh's coloration certainly matches the Krubera limestone, with perhaps a nod to Kungurskaya for good measure. I don't have an answer for "Kanjigar", sorry. People have asked. The closest I can manage for you is Hindi ( कण जिगर ), perhaps in reference to "one who lives in particles". Don't quote me. Likewise, "Draal" comes up empty-handed. The word does mean "linger" in Afrikaans. The rest is up to you to research. The final (and too-frequent) question is, what are the trolls made of? I have no idea. This is del Toro's CGI brainchild. We've heard Toby drop several references. In P1 E1, he points to Kanjigar's remains and proclaims them to be "just k spar". P2 E3 has him exploring Troll Market. He's quick to point out peridot (gem-quality olivine, a common mineral in mafic and ultramafic rocks) topaz, and cassiterite (a tin oxide mineral). He pats a troll's belly and proclaims something that sounds like "kornerupite", a synonym for kornerupine, a boro-silicate mineral found in boron-rich sedimentary rocks that have undergone high grade metamorphism. Later, he refers to trolls as "indigenous gem forms". In P2 E8, he mentions anthracite (the most metamorphosed type of coal) and obsidian (naturally occurring volcanic glass formed as an extrusive igneous rock) as part of a rock collection he's hoping to have appraised at the Arcadia Museum "gems and minerals" show. A troll arm is also on display - it isn't as though del Torro published a paper describing it. This mix doesn't offer us much. I suppose it all comes down to the minerals therein. In a nutshell, a mineral is a naturally occurring inorganic element or compound having an orderly internal structure and characteristic chemical composition, crystal form, and physical properties. A rock is an aggregate of one or more minerals, or a body of undifferentiated mineral matter. Taking a half-assed leap of logic: each troll species may be defined by the minerals present within its aggregate. There. Happy? I don't really think there's a rhyme or reason behind del Toro's creative process. He's not a petrologist. Perhaps it shouldn't matter? Gumm-Gumm might be composed of calcium carbonate in the form of mineral calcite. Perhaps Kanjigar was formed by some type of feldspar mineral and a bit of mica? In other words, stop asking me. Treat it like goldstone: it's man made and it captures your fancy. Enjoy it for what it is rather than trying to define it by its elements.